What makes a company an innovator? How do you recognise an innovation? Brand eins Wissen, the corporate publishing subsidiary of brand eins Medien AG in Hamburg, and Statista, the operator of statista.com, the leading statistics portal, wanted to find the answers to these questions. They asked 2,056 representatives of companies that have won an innovation award as well as 4,326 experts of Atheneum Partners, a global knowledge transfer and research network, about the most innovative industry representatives.They suggested 1,800 companies, of which 256 made it onto the top list. 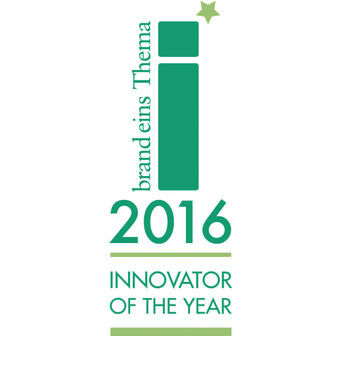 GROHE inclusion in this list secures it the little of “Innovator of the Year 2016”. The 256 companies from 20 different industries were assessed in three areas of innovation, namely products, processes and corporate culture. GROHE falls into the consumer goods category, alongside renowned corporations such as Henkel AG & Co. KGaA, Samsung Electronics GmbH, adidas AG and Miele & Co. KG. Says Michael Rauterkus, CEO of Grohe AG says: “We are proud that the experts have acknowledged our ability to innovate and put us on the top list.